Finding a REALTOR® in Edmonton, who is known for their integrity, doesn't need to be left to chance … Real Estate is a "high-touch" business and I understand that sending your referrals to me is a reflection upon you… I pride myself on my Ultimate Service - no exception policy. 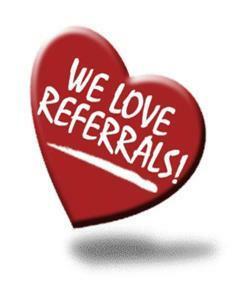 I have the experience, credentials and expertise you are looking for in a referral REALTOR®. I am also very web-savvy REALTOR® which is important to the majority of homeowners today. I'll also provide your clients with insider information about living in the Alberta capital region as well as the most up-to-date details about local listings and market conditions. I'll keep you informed as well. Feel free to call Mike anytime to discuss your clients’ needs and let me tell you more about Your Favorite Military REALTOR® and what I can do for you. The greatest compliments I can receive in this business is a client referral. Contact your Favorite Military REALTOR® today! The mark of any true professional is what their clients say about them.